In celebration of its 40th anniversary, Plaza Singapura is organising an inaugural epicurean event, “Flavours of the World”. This event is organised in partnership with Cold Storage and will be held from 22 October to 2 November 2014 at Plaza Singapura’s Main Atrium on level 1. This is the exclusive Hoegaarden Rosee, an original raspberry-flavoured Hoegaarden white beer that will be available on tap. It is the perfect beer for the festive season come Christmas due to its nice pinkish colour. 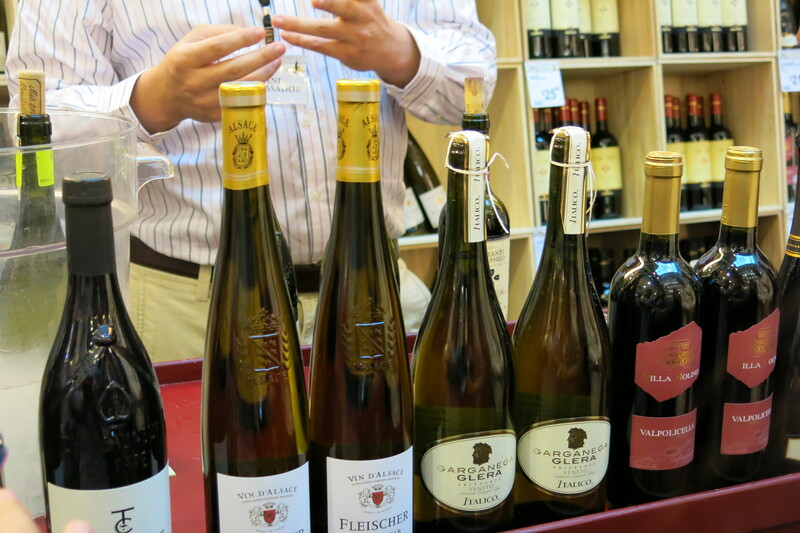 If you are looking for a bottle of wine to stock up on, you will be spoiled for choice. There is an extensive selection of wines available from different countries and you will find the ideal wine you are looking for. What is a gourmet event without meat right? These sausages make for the perfect snack. 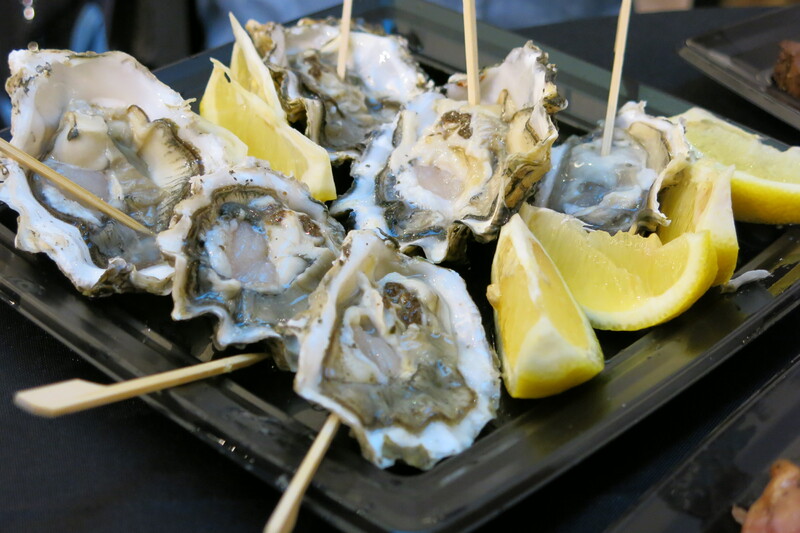 Probably one of the best deals for this gourmet event is the oysters. Air flown and freshly shucked, you will certainly want to try them out. 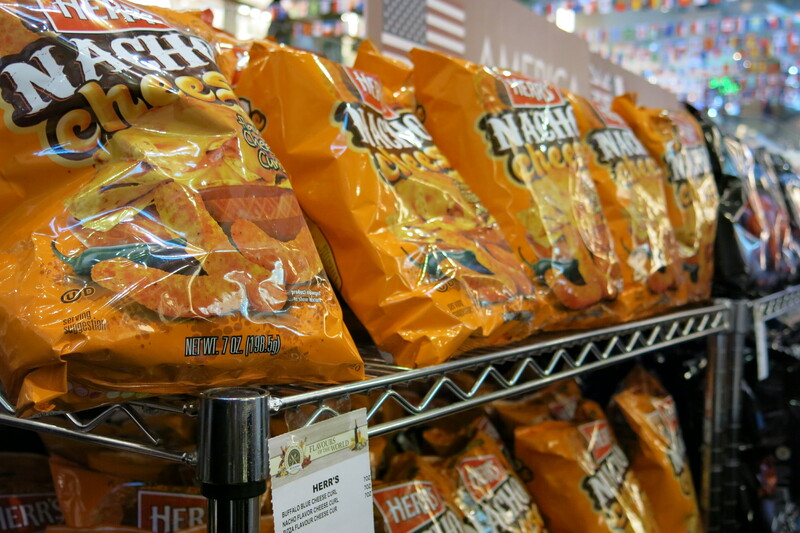 Not to miss out on the best chips from USA, there’s also Herr’s Potato chips available for sale. Made out of the finest potatoes, you definitely want some of these to munch on in the cinemas. 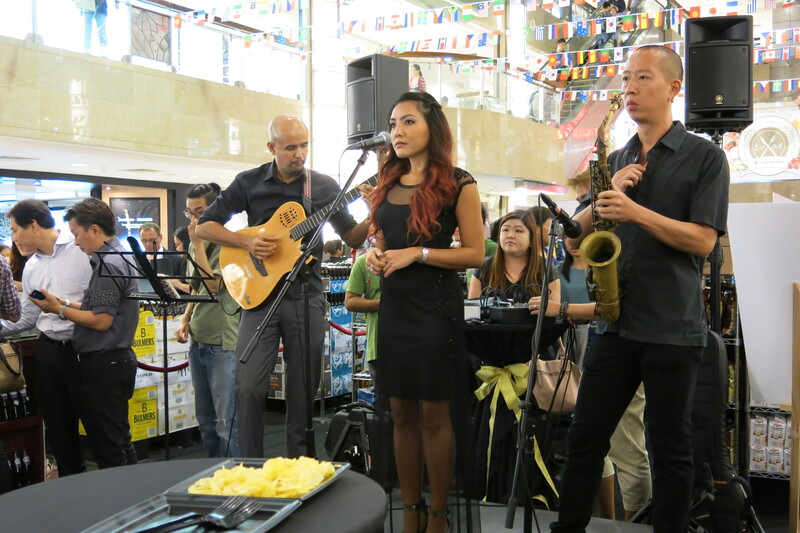 What is a gourmet event without music right? The ambience is just perfect for you to munch on those sausages as you sip beer and pick away on those fresh oysters. Details: 22 October to 2 November 2014 at Plaza Singapura’s Main Atrium on level 1.